The town of Liptovský Mikuláš is in the north of Slovakia. It is located in the center of, and is one of the 63 towns are dotted along, the Liptov valley. 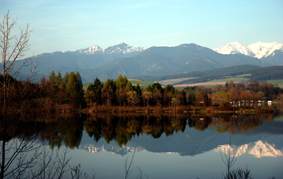 Surrounded by the vast mountain ranges of the Low Tatras, the Western Tatras and the Choc Liptovský Mikuláš is on the longest river in Slovakia; the Vah. Liptovský Mikuláš is in the Zilina region, which has a population of 685, 400. 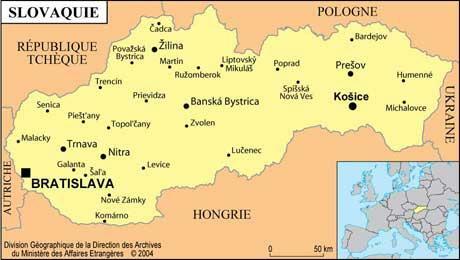 There are seven districts in the Zilina region; Bytca, Cadca, Namestovo, Dolny Kubin, Ruzomberok, Martin and Tvdosin. 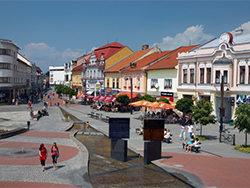 Liptovský Mikuláš, with its 33,500 inhabitants, is the region's administrative, industrial, cultural and tourism center. Talks between the twin towns began ten years before the final signing of the agreement by the first deputy mayor and director of the Annecy tourist office. 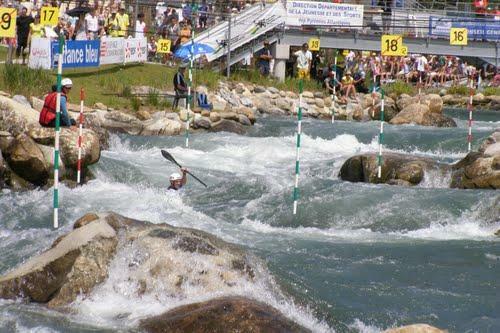 The members of the Annecy canoeing club, (including Jean-Luc Rigaut, the current Mayor) were already familiar with Liptovský Mikuláš due to its renowned slalom courses and Olympic canoers. Exchanges were then extended to nursing schools. And, in 1995, a group of students from Liptovský Mikuláš came to Annecy on a school exchange. In 2001, as part of an international meeting, the two deputy mayors of the Town of Annecy went to Bratislava to meet the Mayor of Liptovský Mikuláš. And, in 2002, three young Slovak had the opportunity to participate in the rencontres européennes, organized by the Town of Annecy. Finally, in 2003, the friendship agreement was signed by the mayors of both cities. Since 2003, many exchanges (cultural, sportive, educational, professional, etc.) have successfully taken place. And at the moment, the twinning is also enabling to towns to benefit from experiences in technical fields, such as water treatment and waste management. The young people of both towns also participate in rencontres européennes. The Liptov valley is characterised by a large number of limestone hills. There are many grottoes whose beauty is admired by thousands of visitors every year. The region is also famous for it's thermal springs. The surrounding mountains have many winter sports resorts. The largest and most famous of them is the Valley Damänová - Jasná. The city hosts many festivals from April to December; the two most important being the "Stolicne dni" (Days of County) in June and the St Nicholas Fair in December.